David Bronstein is one of the greatest and most loved chess players of all time. He won numerous major tournaments and for many years he was one of the world�s strongest grandmasters. In 1951 he came agonisingly close to winning the World Championship title, drawing 12-12 against the reigning champion Mikhail Botvinnik. 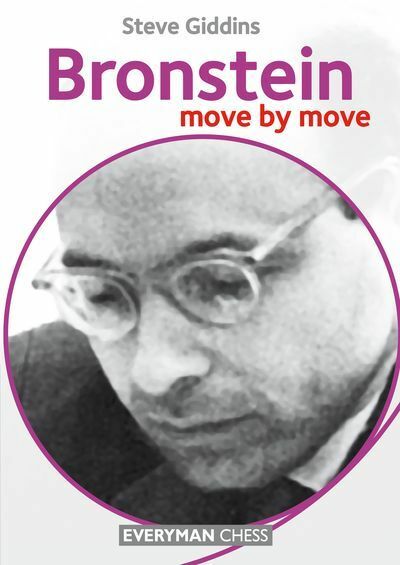 Bronstein was one of the most creative geniuses the chess world has ever seen, and he left a legacy of wonderful games. In this book, FIDE Master Steve Giddins selects and examines his favourite Bronstein games, brings light to some games which were previously unpublished, and shows us how we can all learn and improve our chess by studying Bronstein�s play.